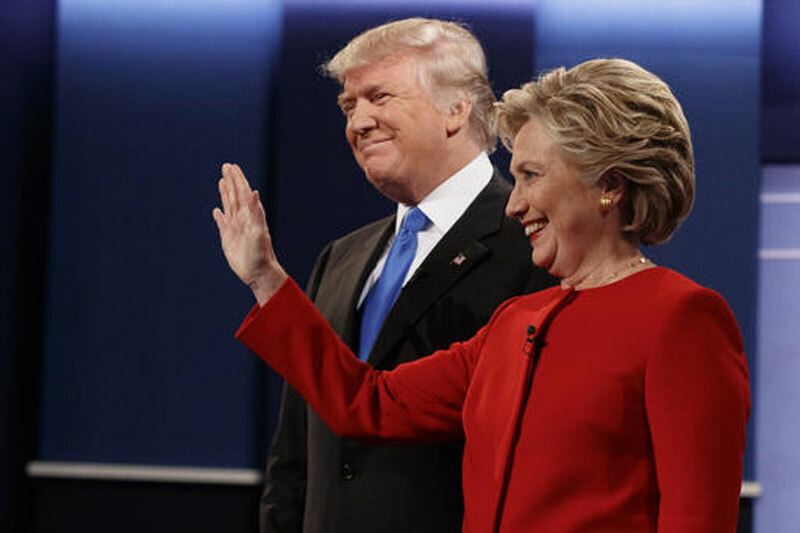 CLEVELAND/HERSHEY, PA. Nov 5: Democrat Hillary Clinton and Republican Donald Trump battled over the strength of the economy in the final stretch of their race for the White House on Friday, with Clinton praising the latest U.S. jobs report and Trump dismissing it as a fraudulent disaster. With four days left in an often bitter contest that has tightened in the last week, each candidate attacked the other as unfit to be president in a late push for votes in battleground states that could decide the outcome in Tuesday's election. 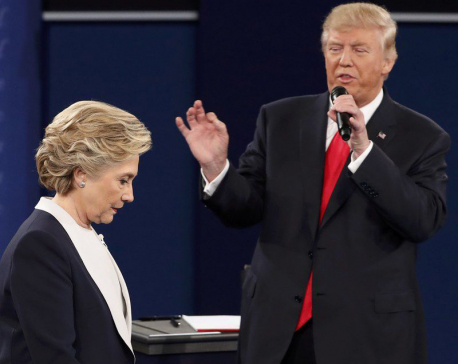 In the Oct. 30-Nov. 3 opinion poll, 44 percent of likely voters supported Clinton while 39 percent supported Trump. "We have unfinished work to do, more barriers to break, and with your help, a glass ceiling to crack once and for all," Clinton said at the concert. At his final rally of the day in Pennsylvania, Trump mocked Clinton for her celebrity supporters. "I am here all by myself. Just me, no guitar, no piano, no nothing," he said. Earlier in the day at a rally in Pittsburgh, Clinton cited the government's latest jobs report as evidence of the economy's strength. The report showed higher wages for workers as well as the creation of 161,000 jobs in October and a dip in the unemployment rate to 4.9 percent from 5 percent. "I believe our economy is poised to really take off and thrive," Clinton told the gathering, after being introduced by billionaire investor Mark Cuban. "When the middle class thrives, America thrives." Trump disputed Clinton's rosy view, telling a crowd in New Hampshire that the jobs report was "an absolute disaster" and was skewed by the large number of people who have stopped looking for jobs and are no longer in the labor market. "Nobody believes the numbers anyway. The numbers they put out are phony," he said, referring to the figures released by the U.S. Labor Department. The economy and the candidates' competing visions for the future could be critical in swaying voters in ailing Rust Belt states like Ohio, Pennsylvania and Michigan. 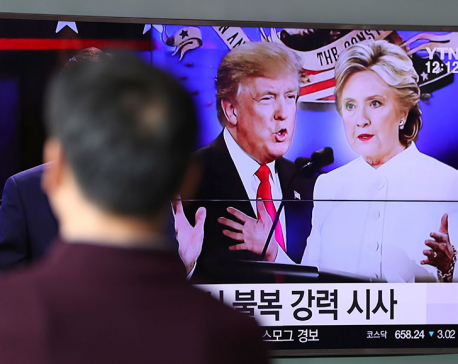 The race has tightened significantly in the past week, as several swing states that are considered must-wins for Trump shifted from favoring Clinton to toss-ups, according to the Reuters/Ipsos States of the Nation project. Clinton is still the favorite to win Tuesday's election, with a clearer path to winning of the Electoral College. But Trump now has a plausible route to victory, especially if there is a sharp fall in turnout among African-Americans from the levels of the 2012 election. Trump, a New York businessman and former reality TV star, has made a pitch for blue-collar workers who have been angered by free-trade deals and feel abandoned by Washington. But his protectionist rhetoric - he has promised to review trade agreements - appears to be having mixed success in the Rust Belt. Reuters/Ipsos polling from mid-October found a majority in both Ohio and Pennsylvania believe that international trade benefits Americans by keeping the cost of goods low, although they also think it hurts "average Americans" by depressing wages and causing job losses at home. Clinton appears to be leading among labor union households in both states, the poll found. She has a double-digit lead with women in both, while Trump has a more modest lead with men. Among whites, Trump has a 7-point lead over Clinton in Ohio and a 3-point lead over Clinton in Pennsylvania. In the final stretch, the two candidates continued to paint a dire scenario of life in the United States if their opponent captures the White House. Trump said the FBI's fresh examination of emails that may be related to Clinton's use of a private email server for government work while she was secretary of state could lead to "a constitutional crisis." "Aren't we tired of all this stuff?" he asked. "America deserves a government that can go to work on Day One." "Think about what it would mean to entrust the nuclear codes to someone with very thin skin who lashes out at anyone who insults him," she said. Clinton has deployed high-profile supporters to campaign for her in the final days of the long race. President Barack Obama praised her work as his first-term top diplomat during an appearance in North Carolina. “She was outstanding in her job. She was loyal to me,” he said. Obama is trying to energize African-Americans, with whom he is very popular, and young people to turn out for Clinton the way they did for him in 2008 and 2012. Hispanic groups in swing states cranked up their get-out-the-vote efforts for the final stretch of the race on Friday, hoping to push the contest Clinton's way. 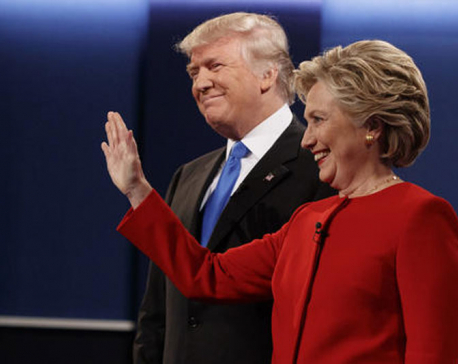 What Clinton and Trump said in their final presidential debate?